The 18 Canadians and eight Americans elected James Morreau (or Morrow), 32, a tanner from Pennsylvania, as colonel and leader. The other elected officers were Canadians. Samuel Chandler, 47, a local wagon maker and rebel leader, became commissary. Benjamin Wait, 25, a clerk and one of the occupiers of Navy Island that winter, became major. Jacob Beemer, 24, a carpenter and veteran of Dr. Dunscombe's uprising, and Alexander McLeod, a farmer who had marched on Toronto with William Lyon Mackenzie, became captains. Morreau's company crossed the Niagara River into Upper Canada at Grand Island June 11 and moved stealthily through ravines and forests to a place called Short Hills near St. Catharines. They set up camp and sent word to Patriot General Donald McLeod in Lockport, NY, that they awaited his orders to attack something. Local farmers welcomed them into their homes and a few joined their ranks. Unseen for over a week, they waited for General McLeod's reply. During that interlude, Morreau circulated a proclamation designed to stir up local support. "Canadians: We have at last been successful in planting the standard of liberty in one part of our oppressed country. Canadians! Come to our assistance as you prize property, happiness and life; Come to our assistance. Canadians! This is the hour of your redemption. Rally to the standard of the Free and the tyranny of England will cease to exist in our land. We pledge safety of property and life to all who do not opposed us; but resistance shall be met by men who are determined to conquer or die." On June 19, Patriot Colonel Linus Miller arrived with General McLeod's reply: pack up and come home. In his memoirs, Linus Miller wrote that Morreau told him he joined the raid because he was promised 3,000 local fighters. A mere dozen had joined. Morreau urged his men to follow the General's orders and retreat. After a brief debate, his men voted to stay and fight. Morreau promptly resigned his command. According to Miller, Jacob Beemer assumed command. His first order of business was plunder. After sundown on June 21, Beemer led a band of men and robbed the home of an old man and his family because they were British loyalists. The bulk of the raiders traveled to the village of St. Johns and attacked a troop of British soldiers (Queen's Lancers) staying at Osterhout's tavern. Miller and Morreau accompanied them just to, as Miller wrote, "prevent what mischief we could." Beemer's men joined them for the attack. The lancers barricaded the tavern and fired from the upper windows. The raiders traded shots for about half an hour in the dark night. The exchange wounded one lancer and two rebels. The rebels began piling straw next to the building and threatened to set it aflame. The lancers surrendered and the rebels marched them at gunpoint into the forest. At the urging of Beemer and Chandler, seven ropes were slung in the trees and seven lancers selected for execution—revenge for the hanging of Samuel Lount and Peter Matthews that April. Miller and Morreau, supported by Wait, swayed the raiders to a more civil conclusion. They made the lancers swear an oath not to use force against Patriots again. When the lancers gave their word, Miller paroled them. The robbery and attack on the lancers alerted the British to rebels in their midst. Army and militia units rushed into the Short Hills area. The Patriot raiders broke and ran for the border. Few made it. 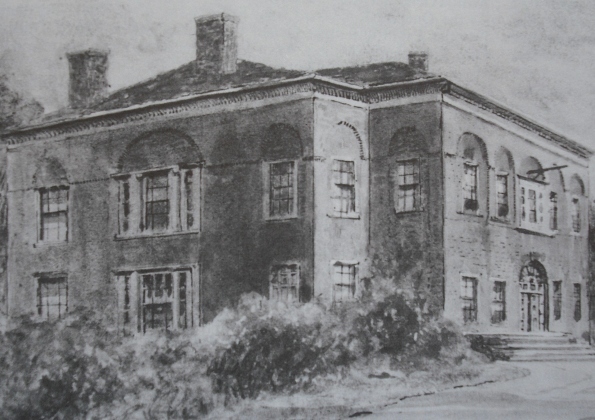 The British captured thirty-eight raiders and sympathizers, including all the elected officers, and housed them in the Niagara-on-the-Lake jail. Between July 18 and July 28, the court, presided over by Judge Jonas Jones, tried the Short Hills raiders. William Henry Draper, the Upper Canada Solicitor-General, acted as prosecutor in several cases, including Morreau's. The colony laid charges under a new law known as the Lawless Aggressions Act, passed that January to deal with Patriot raiders. An absolute abomination of a law, it permitted the most flimsy evidence from the prosecution and few avenues of defense for the accused. It applied to attacks by citizens of a country with which Great Britain was at peace and to British subjects who aided them. Fortunately for the Short Hills raiders, they faced a civilian jury where many jurors held rebel sympathies. Four men were sent to prison, 19 were acquitted or released, and 16 were condemned to death. In the end, 15 death sentences were commuted to transport to the Van Diemen's Land (Tasmania) penal colony. For one man, the British would not show mercy—James Morreau. Someone had to hang as a warning to others. The court granted Morreau’s final request that Linus Miller occupy his cell until the execution. Miller reported that Morreau, an Irish Catholic, prayed night and day, and seem to reach a state of peace as his execution neared, even shedding tears of joy one night. On July 30, the Hamilton district sheriff, Alexander Hamilton (July 3, 1790-February 19,1839), led Morreau to the gallows. The usual hangman being unavailable, the sheriff offered $100 to anyone who would do the deadly deed. Everyone refused; so, Hamilton did the job himself, making sure the long drop was sufficient to give Morreau a quick death. According to the local newspaper, the Niagara Chronicle, Morreau's lips moved in silent prayer as the trap door opened. Aside: Upon hearing of Morreau's execution, Captain Daniel Heustis gathered 50 Hunters and assembled at Youngston, NY. He intended to cross the Niagara River at night, raid the jail, and spirit the Short Hills prisoners to safety. Just before his expedition headed out, he received word the British shipped the prisoners to Fort Henry in Kingston. He was too late. Miller's book, Notes of an exile to Van Dieman's Land, 1846, is available through Google Books. In fact, the Queen's Lancers refused to take the oath, but were released anyhow. For the record, the Lancers were staying upstairs at John Osterhout's tavern at St. Johns. The building was not an "inn". A female employee had a room on the ground floor.